Here's How Fatima Sana Shaikh Trained For Zafira In Thugs Of Hindostan: Her Fitness Videos Will Make You Hit The Gym Instantly! Home » Living Healthy » Here's How Fatima Sana Shaikh Trained For Zafira In Thugs Of Hindostan: Her Fitness Videos Will Make You Hit The Gym Instantly! Actress Fatima Sana Shaikh took fans by surprise by revealing her look for upcoming film Thugs of Hindostan. Read to know what all Fatima's fitness routine included for her role of a warrior in the film. 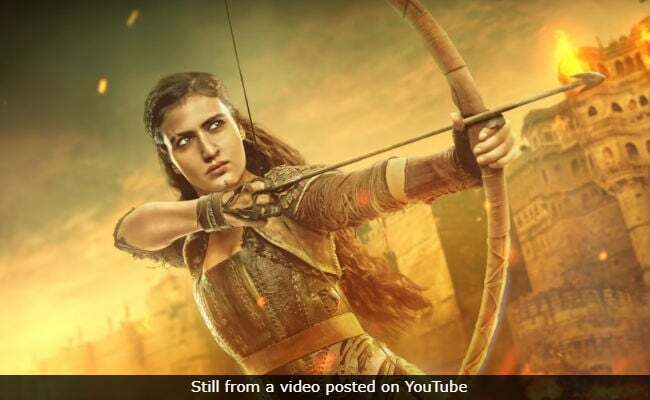 Actress Fatima Sana Shaikh has took all her fans by surprise by revealing her very thunderous look in her upcoming film Thugs of Hindostan. It was just yesterday that she shared a post revealing her look as well as her character named Zafira in the film. Fatima Sana Shaikh kickstarted her career in Bollywood by playing the role of a wrestler in the film Dangal. She required working towards building her overall strength and muscles for her debutant role. However, for Thugs of Hindostan, Fatima's role demanded a leaner body like that of a warrior. Regular followers of Fatima on Instagram would know how she has been training for Zafira's role. It has majorly included some very intense cardio sessions including everything from running, to jump strength training and even rigorous weight training. Usually, Fatima shares her workouts with her celebrity trainer Rakesh Udiyar as part of her daily Instagram stories. However, we managed to dig out a few fitness posts from her account to know what she is really fond of. In the post below, Fatima Sana Shaikh, who is also popularly known as Fatty, is seen perfecting a leg stretch, while mentioning that her fitness secret is long runs in the morning along with some stretching. Morning runs are undoubtedly the most cost-effective and efficient way to get fit and healthy. 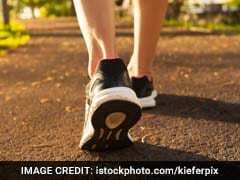 Running at any time of the day will have many health benefits, but a morning run is better especially because you get to breathe fresher air. Also, running is a great form of cardio exercise which helps in burning lots of calories. Moreover, it is always helpful to know a few exercises which you can do outside the gym as well. On days when you feel too tired or simply not in the mood to go to a gym, you can do some weight training, abs or legs workout, and make up for your cardio by going for a run or jumping rope etc. In the post below Fatima Sana Shaikh is doing lunges - which is a great exercise in legs workout. Lunges help in stabilising the core along with facilitating better body balance. Lunges are also helpful in becoming more functional and help in performing day-to-day activities with ease. Fatty's focus on legs doesn't end here. Trainer Rakesh Udiyar makes sure she tones and strengthens those legs in the best possible way. Watch Fatima enjoying her weighted squats in the video below. Weighted squats are simply an advance version of squats which can help in burning fat, improving blood circulation, toning abs and improving core strength to name a few. Last but not the least, the very motivated Fatima does a balancing leg exercise in the video below. This exercise can help in building body balance and strengthening legs and core muscles. Way to go Fatima Sana Shaikh. Wishing you all the very best for Thugs of Hindostan!